Wooden box with black top and base. Glass window to read non-linear scale from 0.5-1.5. Two pairs of brass terminals above the window marked 'applied potential' and '6 volts'. Zero adjustment and clamping controls are below the window along with on/off and rheostat control dial. 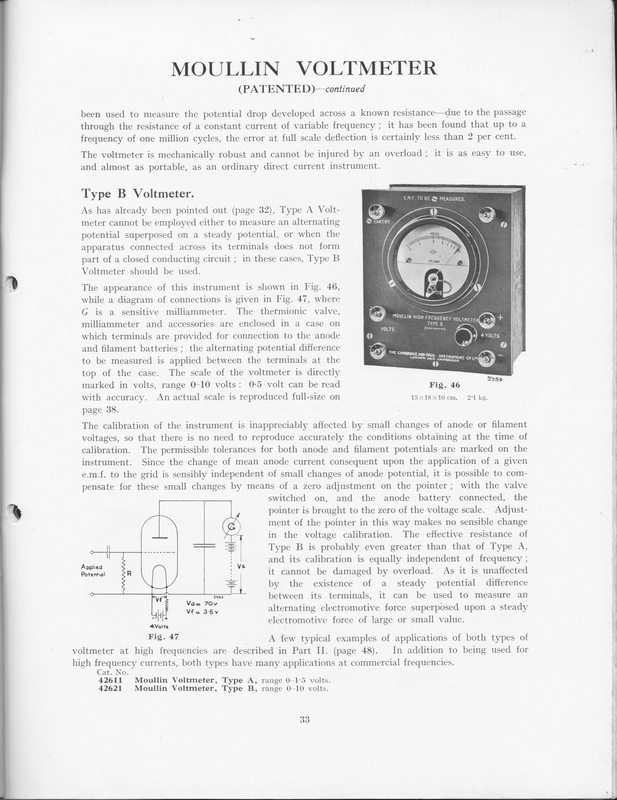 Claimed by Stock and Vaughan to be the first vacuum tube voltmeter, it uses a 6 volt supply and a triode valve. 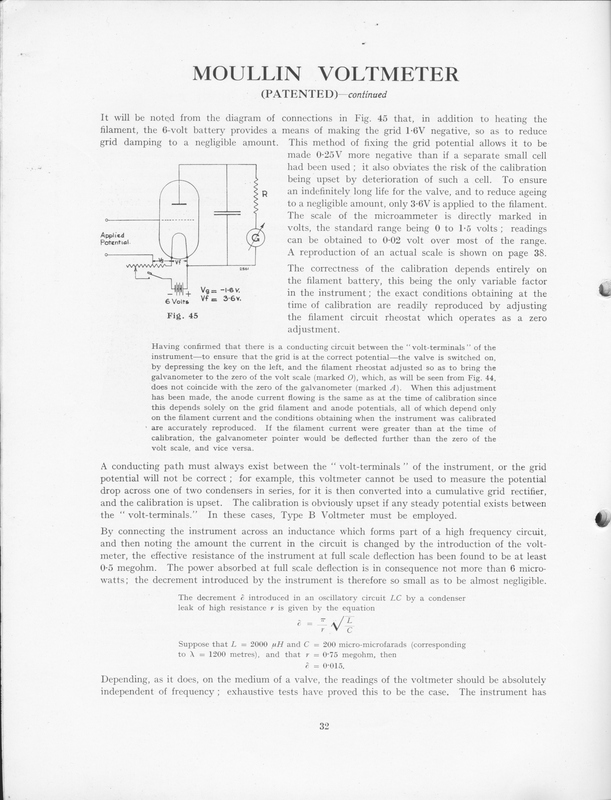 The voltage to be measured is applied to the grid of the valve and when the circuit is balanced the net current is sensitive to this voltage. This current is measured using a Cambridge "UNIPIVOT" galvanometer. This instrument allows measurement of voltages in the range 0.5-1.5 volts only, which are displayed on the scale which is linear between these voltages. 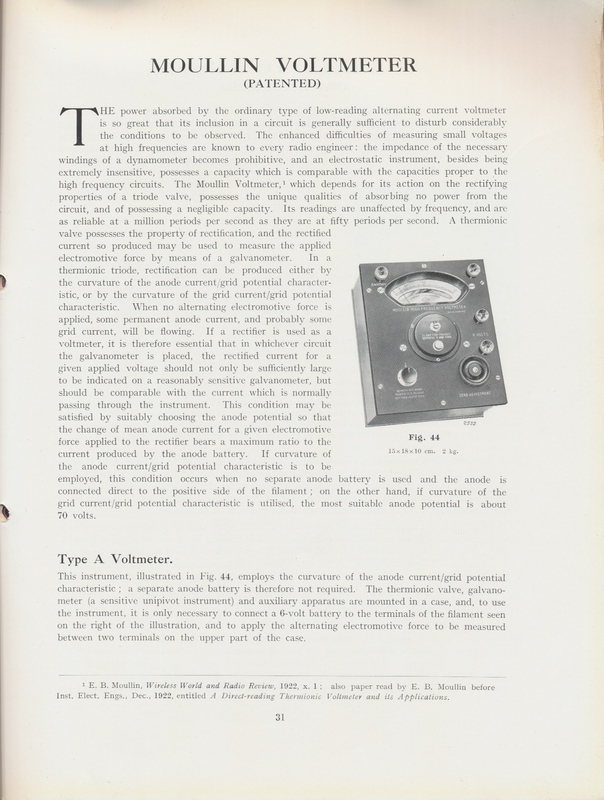 Moullin E B, Radio Frequency Measurements, Griffin & Co Ltd, 1926, pp 35,36.